Facebook is going to transition all users and pages to Facebook timelines today! 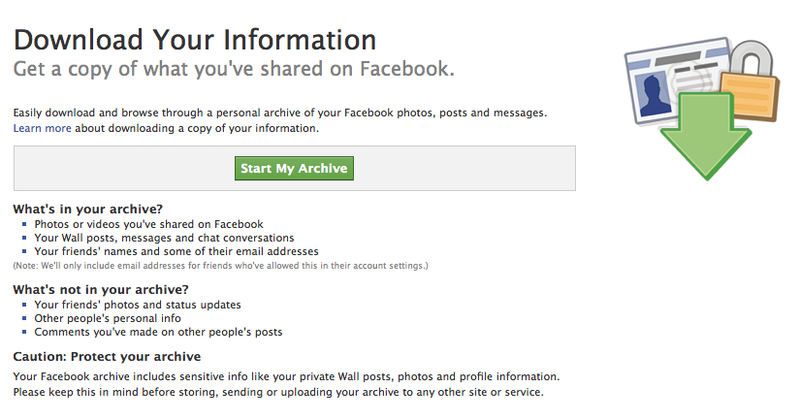 My personal recommendation is that you backup all your content on your profile and all your business and fan pages. When I transitioned to the new timeline format as one of their early adopters, just over 1000 of my personal friends were lost in the transition. 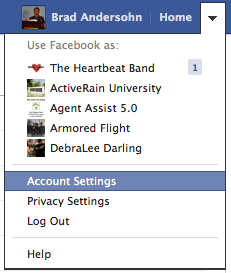 NOTE: To date, Facebook has been unable to help me restore those long and now lost friends on their site. I may not be able to get mine back immediately, but this may help you and be useful if the same thing happens to you today during the switch over. 4. Click on the “Download A Copy” link in the lower left corner. 5. Download times may vary depending how long you’ve been on Facebook and how much content you’ve put up on your profile or pages. Be patient. Then be sure to store this file in a safe place. 6. 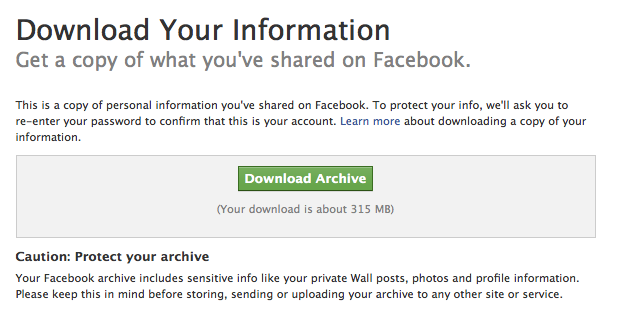 Facebook will notify you via email when your created archive is completed. 7. 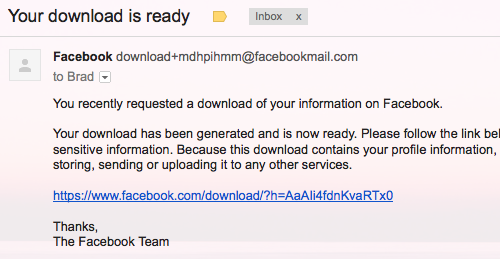 You will need to save the file Facebook creates to your computer hard-dirve. Good luck, I hope your timeline transition goes smoothly today, and it’s always better to be safe than sorry when it comes to the most important commodity we have on this earth… Our Friends! !